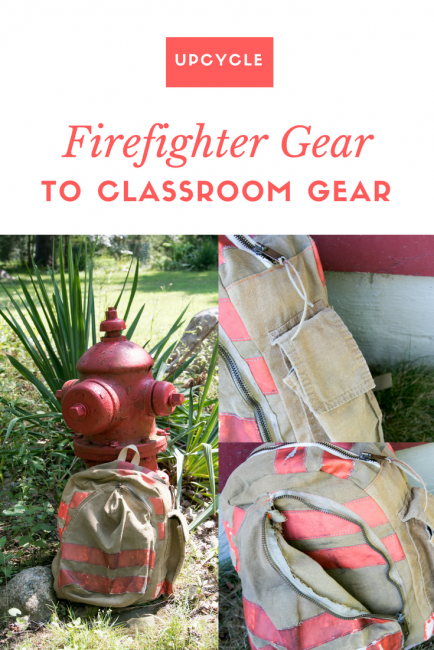 Firefighter Gear to Classroom Gear - Peek-a-Boo Pages - Patterns, Fabric & More! I have a friend who is a retired fireman. As such, he has lots of old turnout gear. 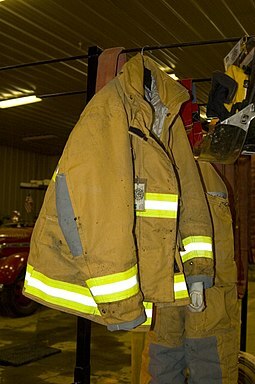 Turnout gear is the coat, pants, and hat that firefighters wear into a fire. It has to be replaced at specific intervals, so there ends up being plenty of retired pieces that aren’t worth much. He brought me a coat and challenged me to turn it into something. I forgot to take a photo before I cut it apart, but it looked a lot like this photo I borrowed from Wikipedia. 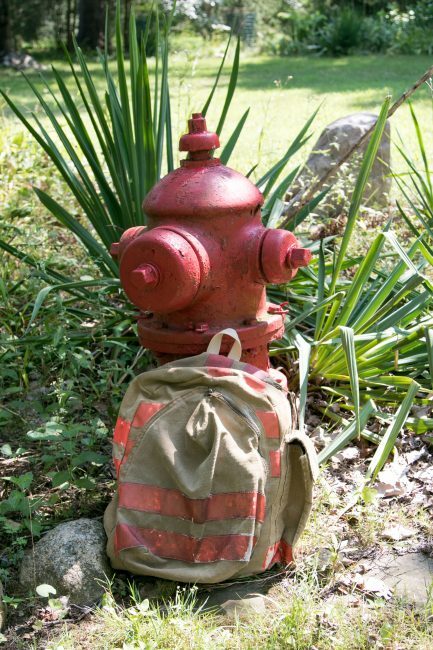 With back to school just around the corner, my thoughts went to a backpack. I used Peek-a-Boo’s Star Student Backpack with a few modifications for my pattern. First, I want to talk a little about upcycling. 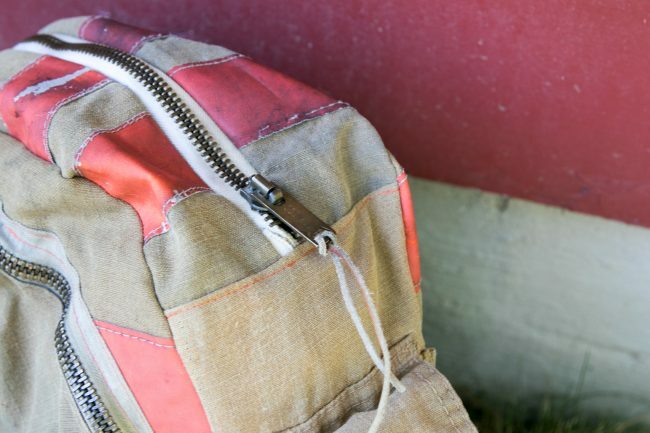 In this case, upcycling is using something that’s already been made into something else. 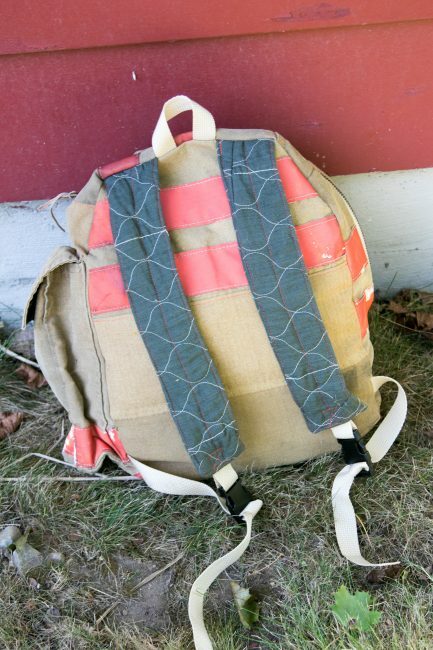 Everything I used on my backpack came from the firefighter’s coat. 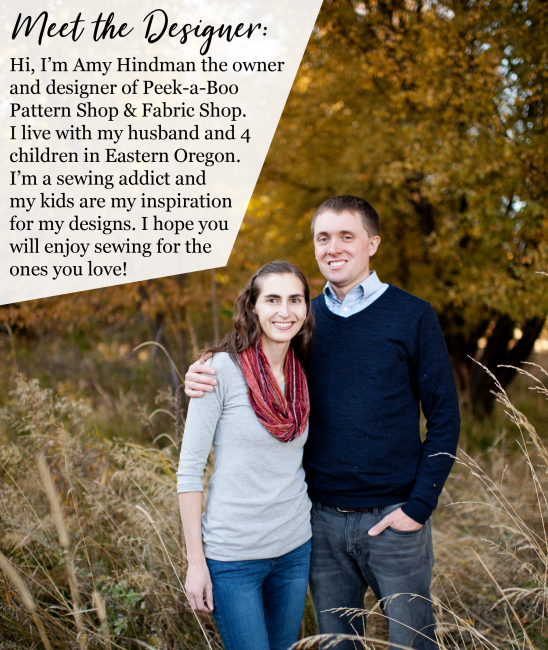 Get your seam ripper ready! 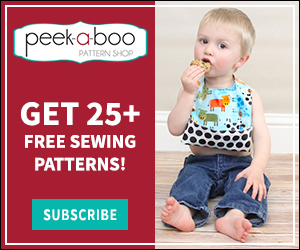 I think the most important thing to keep in mind for upcycling is that you may not always be able to cut your full pattern piece in one spot. 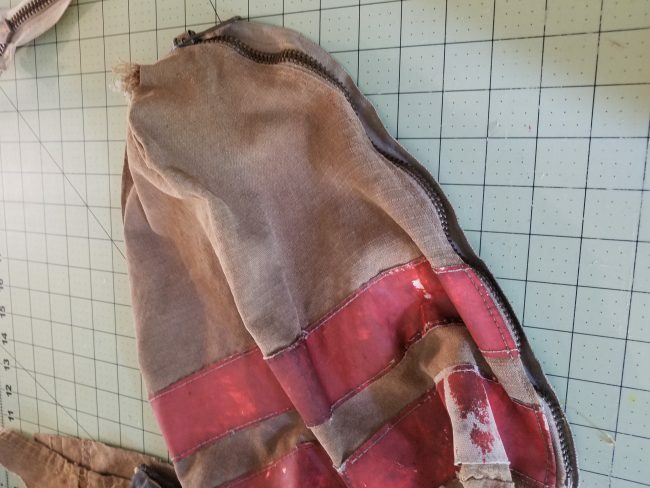 For example, for my backpack back piece, I divided the pattern piece into two vertically, added seam allowance, and cut two pieces on the fold. I joined them together before I began sewing. 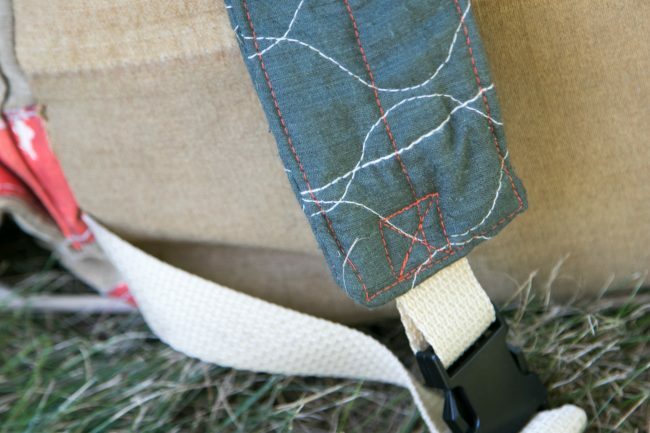 Also, use features of the item you’re upcycling! 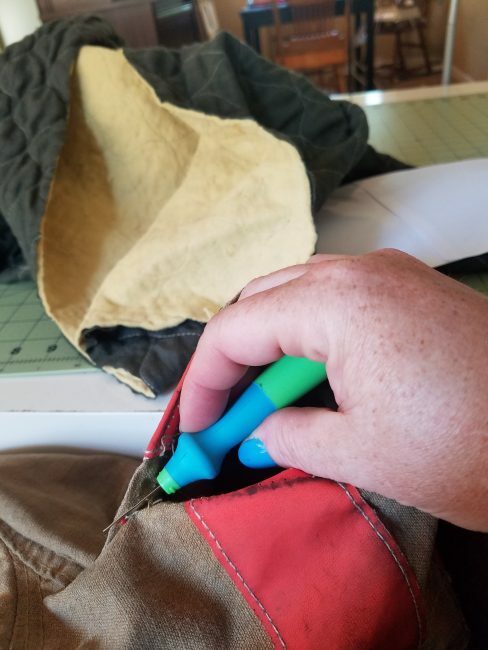 In this case, instead of cutting two pieces for the front of the backpack to make the front pocket, I removed a large, round pocket from the coat and used that instead. I was also able to cut one of my side panels to fit this walkie talkie pocket. This made the side much longer than the mesh pocket included in the pattern, but I just adjusted my zipper, too. I used the zipper from the front of the coat, and it was a little shorter than the pattern required, so I offset it to the side a little and used the extra height of the walkie talkie pocket to compensate. 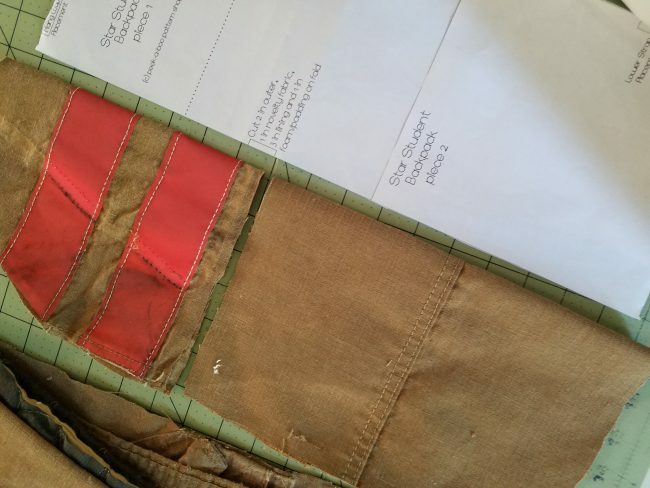 The lining and straps of my backpack are made from the lining of the coat. It was quilted to a very thin, but somehow very dense, foam. Believe it or not, this was actually more difficult to sew than the canvas from the front of the coat. I broke two needles making the straps! This is a generous sized backpack, so I didn’t adjust the size. I did lengthen the straps by 3″ and the webbing by 3″ to add a little more room for an adult to wear it. I’m very pleased with my first effort with my friend’s turnout gear. I wonder what I should make next? 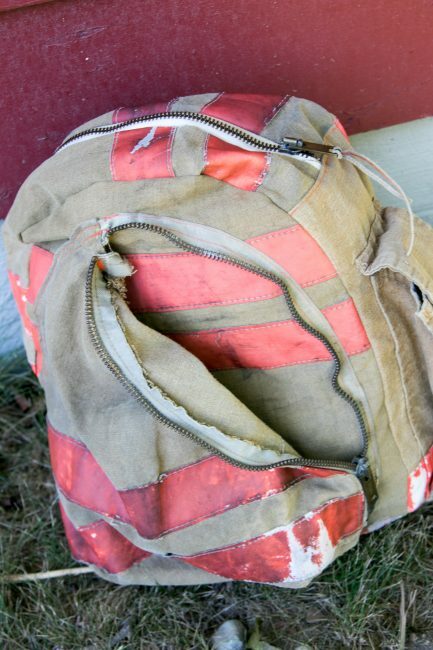 I would not use turnout gear for any sewing projects unless you know it has been cleaned. Turnouts get exposed to a lot of chemicals. I cringe when I see people putting babies on turnouts for photo shoots.